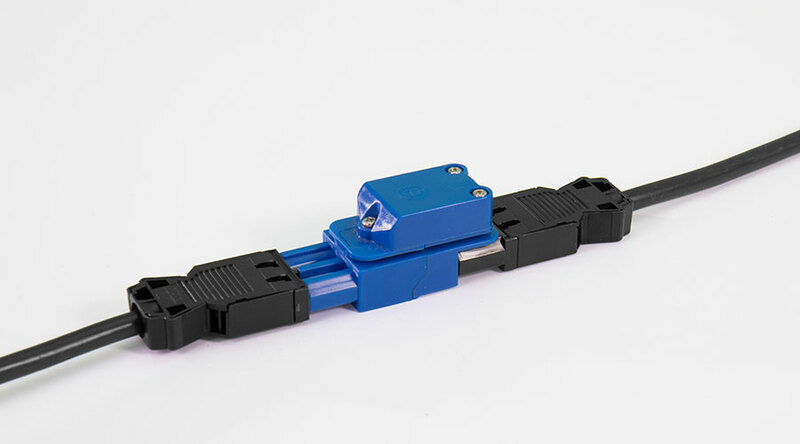 The OE Surge Protector J-Coupler provides inline surge protection for devices with a GST connection. All cables can be made to a length of your choice. 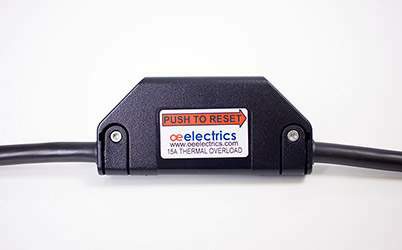 The inline thermal overload is intended to be hardwired into power cord to mains plug, or into starter cables. 30mA residual current breakers (RCD’s) are a statutory requirement in many countries as a method of providing user protection against electrical shock. If 30mA RCD protection is not provided in the building circuit or at the wall floor socket the it should be provided locally e.g. in the desk electrics. 100mA protection is often provide at the main circuit board but this is not sensitive enough to protect users of electrical equipment. 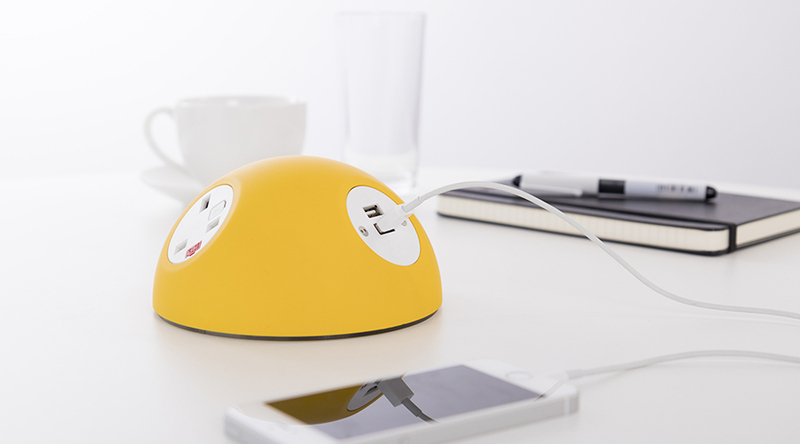 BS6396 was updated in 2015 to require where a furniture power distribution system is connected to an existing building socket outlet which does not have residual current device (RCD) protection, the furniture socket outlets shall be protected by means of a 30 mA RCD. Our 40A 30mA RCD’s are as standard type AC (sensitive to AC current only) which comply with UK and many other country requirements. They have been carefully selected for quality and reliability and to have certified compliance with IEC61008. We can also supply to special order AC plus DC current sensitive type A or type B RCD’s to comply with local requirements e.g. in Switzerland and Germany. Local to the user RCD protection should be specified at levels lower than any upstream protection such as at a circuit board, so that the local protection is always the first to trip in overload situations. 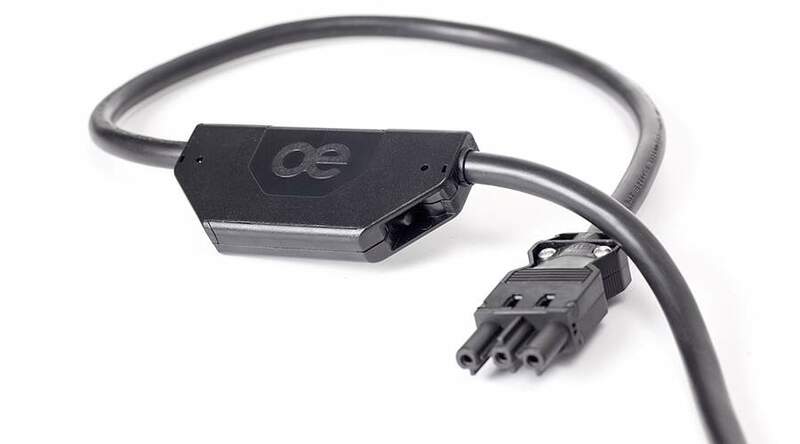 OE can supply RCD’s built into standard alone units such as our PDU’s (hyperlink to PDU’s page) with hardwired, Wieland GST, and/or Neutrik power connections or alternatively incorporated into power modules such as POWER BOX. RCD protection should not be confused with overload protection via MCB’s, the latter being to protect circuits/equipment rather than people. Where power is being sourced direct from a floor track then both MCB and RCD protection can be achieved by using an RCBO. 30mA residual current breakers with overload (RCBO’s) are a convenient method of providing both user protection against electrical shock and overload protection for circuits/equipment, for instance when taking power from a 32A or 64A floor track. 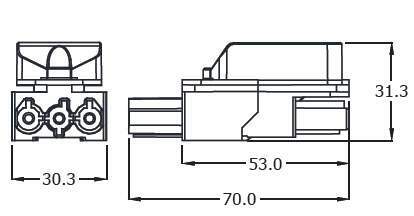 Our 30mA RCBO’s can be specified with 6A, 10A or 16A C curve overload protection all with Type AC (sensitive to AC current only) RCD protection (Type A to special order). They have been carefully selected for quality and reliability and to have certified compliance with IEC61009. 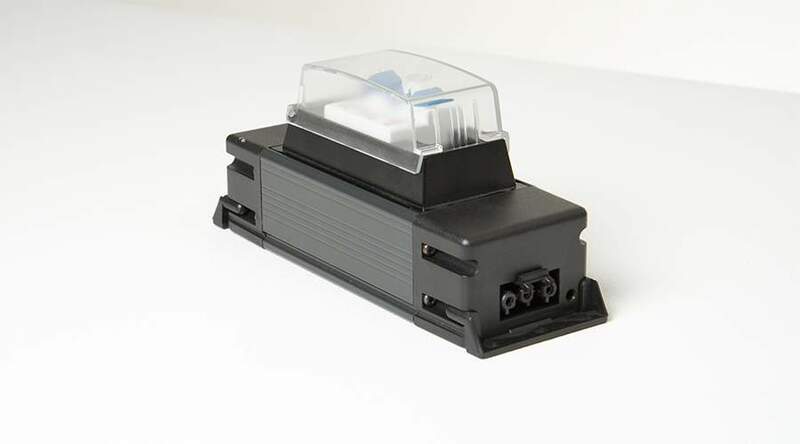 Local to the user RCBO protection should be specified at levels lower than any upstream protection such as at a circuit board, so that the local protection is always the first to trip in overload situations. 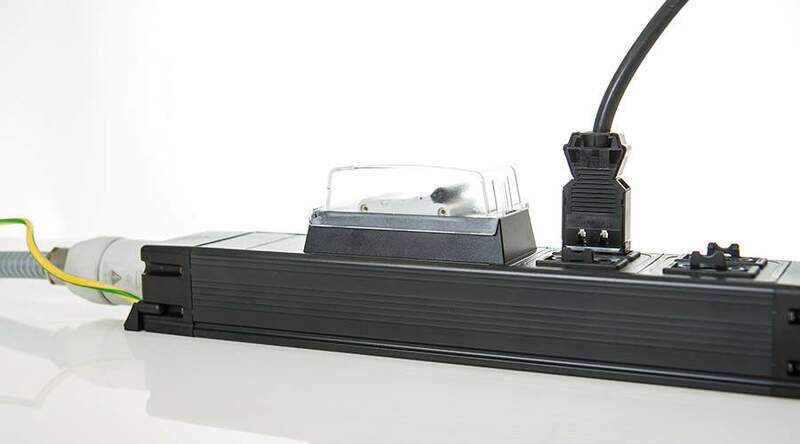 RCBO’s can be built into standalone units such as our PDU’s with hardwired, Wieland GST, and/or Neutrik power connections or alternatively incorporated into power modules such as POWER BOX. 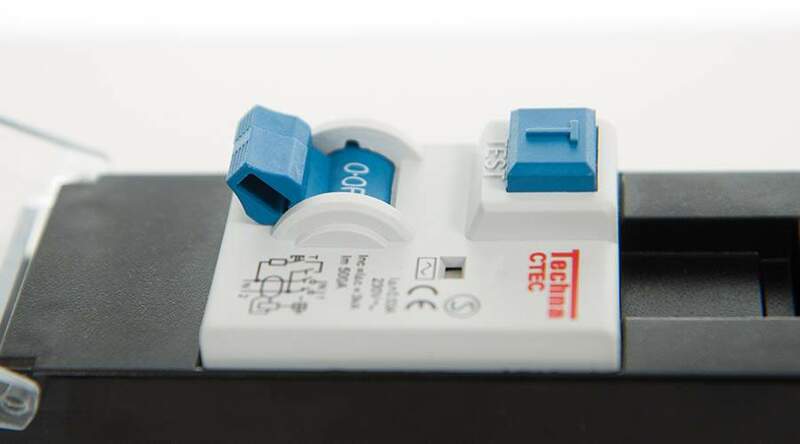 OE mini circuit breaker (MCB) modules are typically used to provide IEC60898 compliant local circuit protection at between 10A and 16A when connecting direct to a building power circuit which has a higher rating than the power module such as a 32amp floor track. Our 6Ka breaking capacity MCB’s are as standard C curve trip type (trip at 3-5 x the rated current) and are combined thermal and electromagnetic design. They have been carefully selected for quality and reliability and to have certified compliance with IEC60898. 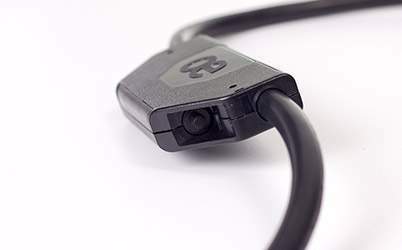 MCB’s can be built into standard alone units such as our PDU’s (hyperlink to PDU’s page) with hardwired, Wieland GST, and/or Neutrik power connections or alternatively incorporated into unit such as POWER BOX. Local MCB protection should normally be specified at levels lower than any upstream protection such as at a circuit board, so that the local protection is always the first to trip in overload situations.